These little quiches are perfect for a party, either as a part of a big spread or to take to a potluck at a friend’s house. They’d also be a welcome addition to any brunch menu. They also couldn’t be easier. Use store-bought puff pastry for the crust, and smoked salmon, cream cheese, and scallions in the filling. I love working with store-bought puff pastry mostly because, well, I don’t have to make it myself! Back in my former life as a pastry chef, puff pastry was a weekly task — it was fun to make, but it requires a serious number of hours to make. As far as my baking bucket-list goes, I think I can cross off puff pastry. Luckily, store-bought puff pastry is readily available and quite good! I recommend buying all-butter puff pastry if you can find it (check the ingredients). Pastry made with oil or butter substitutes doesn’t taste nearly as good. Be sure to let the puff pastry thaw overnight in the fridge. If you forget, let it sit out on the counter for 20 to 30 minutes. When thawed, the puff pastry should be pliable enough to unfold without cracking, but not so soft that it feels floppy or stretchy in your hands. If it starts to crack, let it thaw at room temperature a few more minutes. If it feels too soft, chill it in the fridge for 30 minutes. Be sure to thaw your puff pastry overnight in the fridge. If you forget, thaw it on the counter for 20 to 30 minutes, or until it can be easily unfolded without cracking. If the pastry becomes too soft and squishy, chill it in the fridge for 30 minutes to firm up before making the recipe. Once baked, the tartlets can be frozen. To reheat, place them, still frozen, on a baking sheet and warm in a 350F oven for 15 to 20 minutes, or until hot all the way through. You could easily double this recipe if you want to make a big batch. 1 Heat the oven to 375F. Brush a 12-cup muffin tin with vegetable oil. 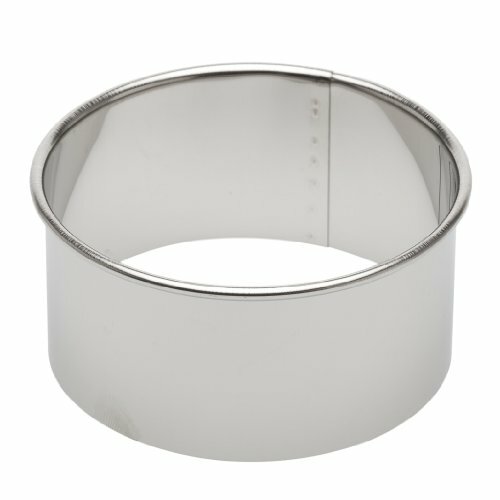 Have on hand a baking sheet and a 3 1/2-inch round cutter. 2 Cook the scallions: In a small skillet over medium heat, heat the oil. Add the scallions and cook for 5 minutes, or until softened. Stir in the parsley. Remove from heat. 3 Mix the eggs and cream: In a bowl, whisk the eggs until the yolks and whites are combined. Whisk in the cream and pepper. 4 Cut out the puff pastry rounds: On a lightly floured surface, open the sheet of puff pastry; if it starts to crack or still feels frozen, let it thaw for a few more minutes before proceeding. Gently roll it to an even thickness, and then cut it into 3 1/2-inch rounds. Stack the scraps on top of each other (do not gather them in a ball) and roll again. Cut out more rounds, until you have 12 rounds. Fit the rounds into the muffin tin, pushing them down into the cups with your fingers. 5 Fill the tarts: Distribute the scallion and parsley mixture evenly between the muffin cups. Top with the cream cheese and salmon pieces. Pour about 2 tablespoons of the custard over the filling in each cup. 6 Bake the tarts: Set the muffin tin on a baking sheet, and bake for 25 to 30 minutes, or until the filling puffs and starts to brown. Remove from the oven and cool for 10 minutes. Sprinkle with dill and serve. Hello! All photos and content are copyright protected. Please do not use our photos without prior written permission. If you wish to republish this recipe, please rewrite the recipe in your own unique words and link back to Mini Salmon Quiches on Simply Recipes. Thank you! Made a double batch to take to a Christmas lunch and it was a great hit – I have been asked to bring more next year! I converted to metric weights and temperature and had no issues. Easy recipe, true to times and ingredient amounts with uncomplicated prep. Can you use canned salmon? Hi, Katie! Emma here, managing editor. Sure, you could use canned salmon! Just be sure to drain it very thoroughly. Enjoy! I made these last night and they were very easy and very yummy! Hi, Linda! A full-sized quiche is usually baked in a pie plate or tart pan. These mini-quiches are baked in a muffin tin. 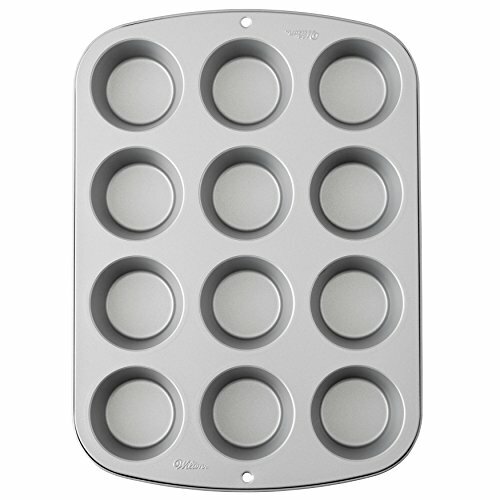 The muffin tin itself is just a regular 12-cup muffin tin. I live in a very rural area in Northern Michigan, many hours drive from a Trader Joes. I have visited several local and not so local stores trying to find puff pastry made with butter. Could folks recommend any brands other than TJ’s and Dufours? But in all seriousness, if you can’t find all-butter anywhere near you, then I’d recommend just picking up the best brand you can find, even if it has some palm oil or other kind of oil in it. Even less-awesome puff pastry is still pretty darn awesome. That looks amazing. Can this recipe be modified to accommodate a gluten and dairy free diet? What vegan option do you suggest for the dairy ingredients? HI Rhonda, Sadly, I don’t think this recipe would work with all those restrictions. I’m sure you could find gluten free puff pastry, but it has butter in it. Sorry I cannot be more helpful, but I think you would have to find a different recipe that is vegan and gluten free. I wish I could be of more help. trader joe’s has butter-only puff pastry: *trader joe’s puff pastry, all butter, made in france, 18.3 oz} for about, if i remember correctly $3.99 … call and ask if you need to know …. Darlene, I love Dufour! I haven’t tried Trader Joe’s but any all butter dough is good–I’ll have to check out TJ’s on my next visit. Thanks for the tip! Whole Foods carries Dufour. Its in their Frozen Food section. This looks delicious! Could you estimate how thinly the puff pastry ought to be rolled? Thanks for the great recipe. Hi! Defrosted puff pastry sheets only need a little rolling and they are already sheets :) That said, you should even them out and roll them as you would any pie dough, about 1/8 inch thick. Hope you enjoy this! Could you suggest other fillings for these tartlets please? Some of my family don’t like anything ‘fishy’. Perhaps chicken. Thanks. With quiche, almost anything goes; you could make it with cubed ham and cheese, or almost any vegetable combination that appeals to you (spinach, mushrooms, etc. Just be sure to cooke the vegetables first. If you are making spinach and feta, for example, cook the spinach and squeeze out excess liquid before filling the quiche cups. Hope that helps! Hi Darlene, I think this might work, but I haven’t tried it, so it would be an experiment. You could fill them with diced apples that have been sautéed in butter to soften slightly, and sweetened with brown sugar and cinnamon. Make the custard as directed, but add a little sugar to taste. Add a little cream cheese to the cups with the apples for richness. Maybe you could try baking a test of the filling (drastically reduced amounts in proportion) in a small cup (without the crust) to see if you like it. It’s funny to see this recipe I just made Salmom Quiche for dinner tonight. I had left over grilled Salmon I needed to use up. I had a rolled pie crust in the freezer so I gently thawed it using the microwave, prebaked it in the oven in a 9 1/2 ” pie pan. Put the usually filling Salmon, cream, egg, onion but I also added mushrooms, capers, dill and sweet red pepper. It turned out good and was a great way to use a left over item. Almost forgot I didn’t have Swiss Cheese so I put in a combination of fresh Parmesan, Cheddar and Sharp Cheddar. can this recipe be modified to fit the mini cupcake tins? If so, how? HI Kathy. Yes, you could certainly make this in mini cupcake tins. Cut the puff pastry into smaller rounds to fit the cups, and then fill each one with smaller amounts of the filling. You will probably end up with at least 1 1/2 times as many mini quiches. I haven’t actually done this, so I can’t give you specific measurements, but just place enough scallions, parsley, cream cheese and salmon in the cups to fill them , then pour the custard over them and bake. Start checking on them after 20 minutes, and every 5 minutes or so thereafter until they are done. Hope that helps! Thanks for writing.